The Merkur company is considered by many to make the best safety razors on the market, which is why many people new to double edge shaving choose Merkur razors more often than others. However, for first timer users, more than a safety razor is needed to get a great shave, so purchasing a Merkur safety razor set is great for those who want to start wet shaving. This Merkur gift set has everything you need to state double edge shaving. 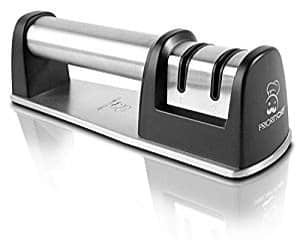 Long handle safety razor #180. 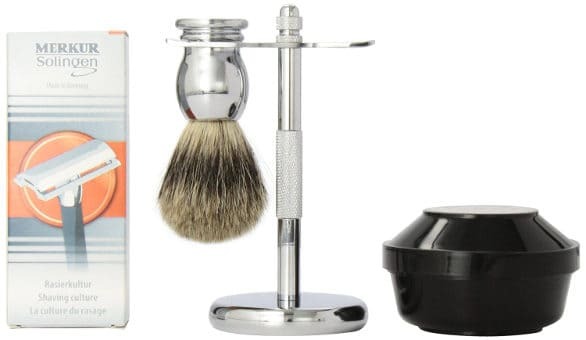 This shaving set makes a wonderful gift and looks great sitting on the bathroom counter. Close Shave: Users state that the razor gives them a close shave. Solid Stand: Men find that the stand is solid and holds both the razor and the brush well. Nice Shaving Soap: Several people think that the shaving soap which comes with this set is extremely nice. 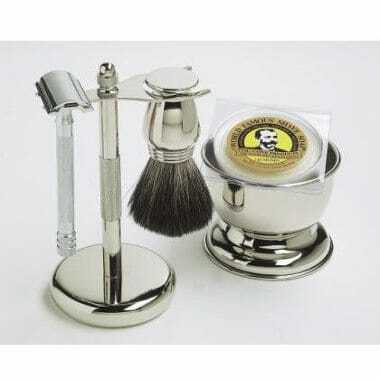 Users state that this safety razor set can be a great gift for everyone. It also makes for a great starter set for those people who want to try double edge shaving for the first time. Merkur long handled safety razor. 100% Pure badger brush with chrome handle. Chrome brush and razor stand. This set is perfect for gift giving or for your own use and comes with everything you need to begin double edge shaving. Reviews for this Simply Beautiful Shaving Gift Set are extremely positive. Almost all users really like it, however I did come across one user who was not happy with the brush. Solid Stand: The stand is solidly made and holds the brush and razor well. 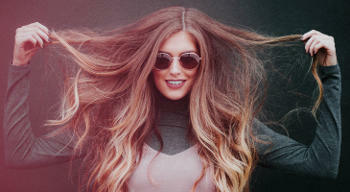 Good Brush: Users like the brush. They feel that it holds a decent amount of water and lathers well. 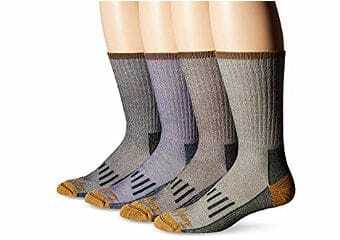 Overall Good Quality: People feel that this set is overall good quality, making it perfect for gift giving. This 5 piece Merkur gift set is perfect for those who want everything they need to start their double edge shaving experience. 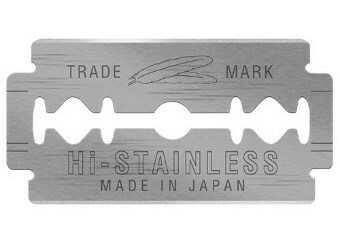 Merkur long handle razor #23001. This is an elegant looking gift set that looks perfect with any bathroom décor. It would also make a wonderful gift for anyone who enjoys DE shaving. Ratings and reviews for this Merkur safety razor set are quite positive. The only real complaint some of the users have is that the brush sheds. Excellent Starter Kit: People feel that everything in this kit is perfect for those who want to start DE shaving. Stand Looks and Functions Great: The stand looks really great and functions extremely well. Good Overall Quality: The quality of this set is quite good and it’s bound to be useful for a long time to come. If you aren’t partial to chrome shaving sets, then this Onyx shaving set may be of interest to you. 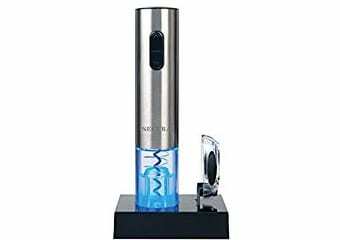 Long handle Merkur razor 20C. 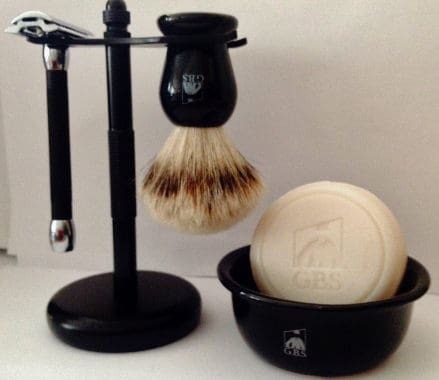 GBS badger brush black hane. GBS 3 ounce Ocean driftwood shave soap. This onyx set seems elegant and refined. 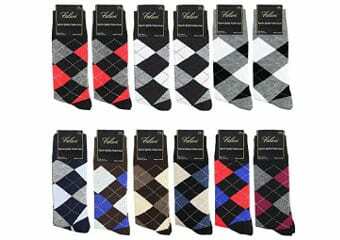 It will look great in the bathroom, so it makes a very good looking gift for men. 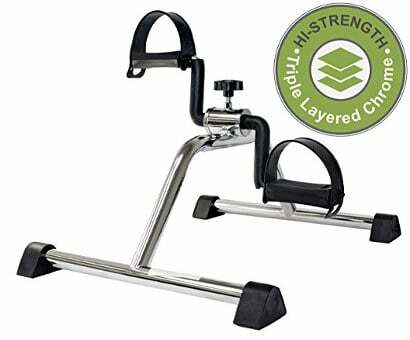 Well built and sturdy: It is extremely high quality and sturdy. Excellent Razor: Users feel that the razor is the best part of the entire set although they do think that the rest of the set is good as well. Merkur safety razor sets allow you to have a high quality Merkur razor and plenty of other shaving gear as well. 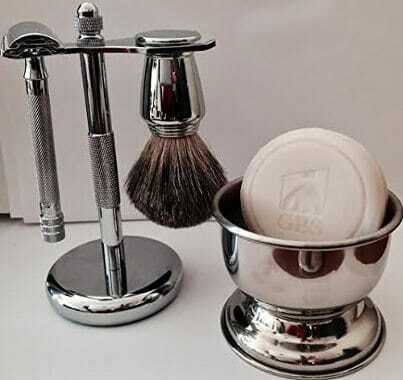 Buying a set can help you to keep your DE shaving gear together and looks great sitting on your bathroom counter. Looking For A Safety Razor And Shaving Brush Stand?